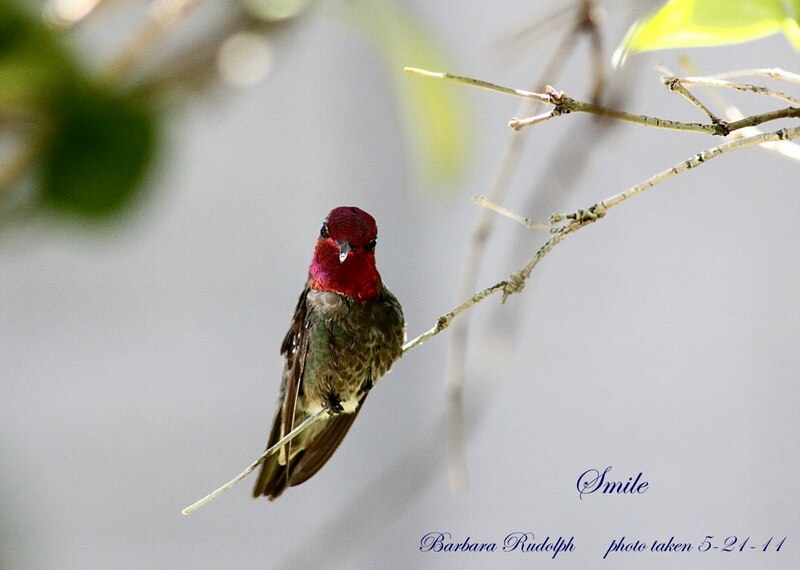 Barbara Rudolph Fine Art: Hummingbird Photos "My patio friend" Is it an Anna's? 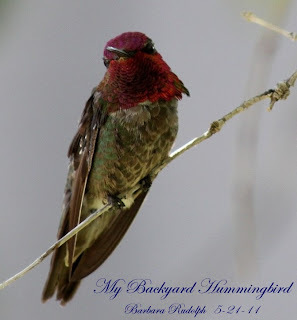 Hummingbird Photos "My patio friend" Is it an Anna's? I am always trying to get good photographs of "hummingbirds" for my little "shoe" and "teacup" series of oil paintings. This little "hummingbird" didn't seem to mind me taking his picture. I got a few great shots and just wanted to share them. 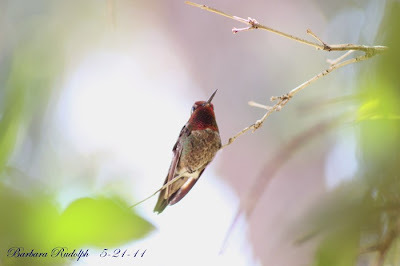 I am not sure if it is an "Anna's" hummingbird or a "Ruby Throated?" These tiny treats are a true beauty to behold.